Ben Affleck one of Barbara Walter's Most Fascinating People of 2012. 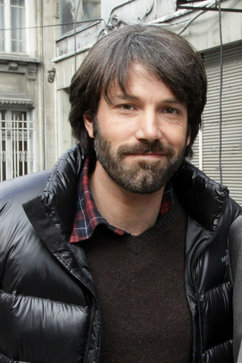 Ben Affleck was voted one of Barbara Walters 10 Most Fascinating People for 2012. This year Ben showed us how he does it with his latest film, Argo. Ben not only stars in Argo but he directs this real life story on the Iran hostage crisis. I personally loved Ben in “Surviving Christmas,” one of the funniest movies I have ever seen but saw a masterpiece in Argo. Argo is expected to get Ben Affleck an Oscar nomination and it would be definitely well deserved. Besides being a talented actor and director Ben is a husband to another superstar Jennifer Garner and a father to their three children- Violet, Seraphina and Samuel. Ben Affleck is the founder of the Eastern Congo Initiative, an organization that helps advocate for the people in this region in the US and provides counseling, health, education and income to the most vulnerable people in this region. Hey I totally agree with your selection of Ben Best movies, I love Surviving Christmas & Argo is a Masterpiece.